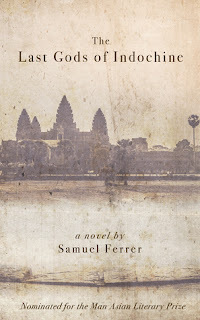 The Last Gods of Indochine by Samuel Ferrer is an ambitious, complex novel which switches between 1294, 1861 and 1921, highlighting the changes taking place Indochina. It raises important questions about religion and the impact it has on humanity. The novel begins in 1861 with the death of explorer Henri Mouhot from Malaria whilst travelling in Indochina. In 1921, his granddaughter Jacquie follows in his footsteps, inspired by his journal which was posthumously published. Jacquie is invited by a group of archaeologists under the title of the EFEO to join them in Cambodia to revisit her grandfather’s findings. Jacquie is a strange character who is compelled to travel whilst at the same time retaining her sense of British imperialism. Other cultures represent “disorder” and she resents the fact that not everyone she meets speaks English. 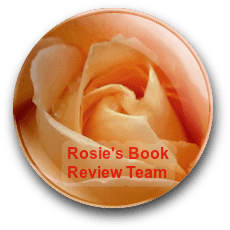 We learn that during the First World War Jacquie volunteered with the Red Cross and was sent to the front line where she subsequently suffered from shell shock from which she hasn’t entirely recovered. The whole novel is steeped in mysticism and both Henri and Jacquie experience haunting dreams often featuring a large bird, a monkey and a sea of milk. As Jacquie gets nearer to Indochina, her dreams change and she begins to feel, “as if the story of another has found me.” Tension is intensified for the reader as Ferrer uses foreshadowing when, in addition to the dreams; Jacquie visits a fortune teller, to prepare us for the horrors to come. The structure of the novel is such that we see Indochina’s history from the 13th century onwards. Ferrer juxtaposes Henri’s journal with that of Jacquie to highlight the similarities and differences in both characters. He also introduces the character of Paaku, a young boy who inhabited the Khmer Empire in 1294. Imperialism is everywhere in Jacquie’s story with the wealth of the Europeans at odds with the poverty of the indigenous people. The way travel had become more accessible by 1921 is also depicted in the way it takes Jacquie 3 weeks to reach her destination whereas it took Henri more than 6 months. For me the most interesting parts of the novel are the ones which feature Paaku. He is part of a society where the king and religion are intertwined and the power of both reigns supreme. Paaku falls victim to religion when he is thought to have performed a miracle and so is hailed as the incarnation of the Hindu God, Vishnu. As different religions coexist it is a delicate balance as to which one will have the most power as decreed by the king and consequently monstrous acts of inhumanity are carried out supposedly in the name of the various gods. Ferrer uses his novel to explore the idea of religion and one of the central themes of the story is reincarnation. As Jacquie arrives in Cambodia she is shown bas reliefs which depict the history of the Khmer Empire and she finds herself knowing the stories that the images represent. In contrast to Jacquie’s increasing belief in reincarnation, her travelling companion Victor, a Russian émigré, is an atheist who believes firmly in science. The religion of the Khmer Empire is entrenched in mysticism and superstition. The complexity of the novel lies in the way it is structured and Ferrer’s writing skills are very much in evidence in the way he retains full control over the time shifts and supernatural visions. He manages to cleverly bring all the strands of the story together in a way that is both surprising and exciting for the reader. The descriptive writing that Ferrer employs is also noteworthy as it evokes a vivid impression of Indochina, the smells, colours and chaos of a different culture are all brought to life through Jacquie’s perspective. 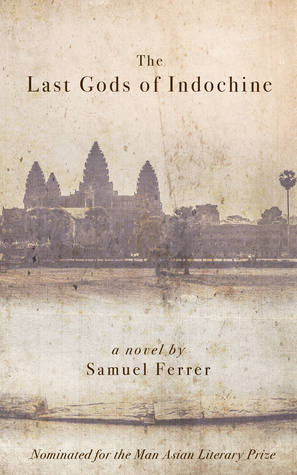 The Last Gods of Indochine is not an easy read and requires a lot of focus but it is well worth the effort as the story is both engrossing and thought provoking. If you’re looking for something a little bit different and more demanding than a pot boiler then I suggest you give it a try. Thank you E.L what a fantastic review. The book sounds a delight. I've just finished reading it and I agree. A fascinating topic and excellent writing.